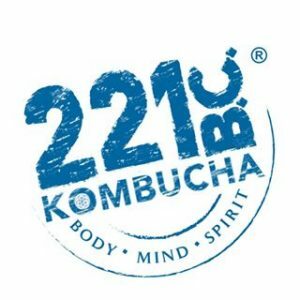 I discovered kombucha 11 years ago at a tiny (4 people including instructor) fermentation class held by a tiny lady who was sharing her story of how fermented foods saved her life. At first I was a bit skeptical. It was later, when I discovered the world of microbes that her story gained a significance in my eyes. I felt obligated to share my knowledge about an unseen world of microbes with all people. I wanted to bring to them awareness of microbes and important symbiosis between them and us, the host. Life is about constant striving for balance. I enjoy almost every traditionally brewed kombucha available on the market but, recently we have launched 221B.C. CORE, >.5% of alcohol. I really enjoy Yerba Power Green from CORE line. Not only it is the greenest kombucha ever (green is my favorite color) but also it is simply delish. This is by far my favorite flavor, now! Well, I am a lot of things these days. First of all, I am a mom, a wife and entrepreneur. Trying to balance all those aspects of my life feels almost like a new career. I absolutely love: “Balance from within TM”. Also “Walk your talk” is one of my favorites. I am all about integrity and balance.